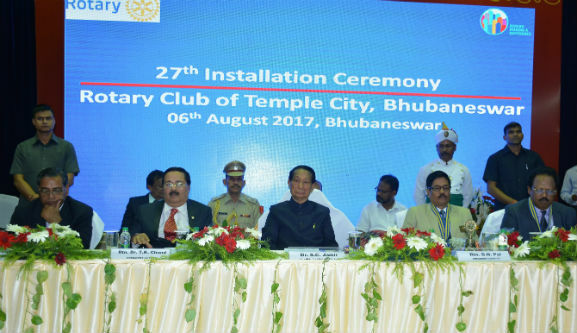 Bhubaneswar: The Annual Function and 27th Installation Ceremony of Rotary Club of Temple City, Bhubaneswar was held on 6th August 2017 at Nalco Nagar, Bhubaneswar. 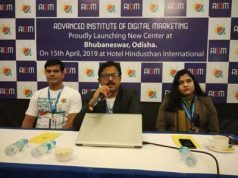 His Excellency Dr. S.C. Jamir, Hon’ble Governor of Odisha graced the occasion as the Chief Guest. 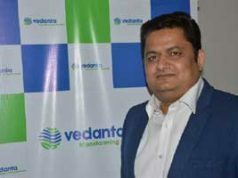 During the programme, Dr. Tapan Kumar Chand, CMD, NALCO was inducted as the President of the Club for the year 2017-18. Taking the charge Dr. Chand said: “Rotary has international brand image of a service organization and there is need to leverage this thing in collaborating with Government, PSUs, Private Sector and NGOs in improving delivery of welfare schemes for the society, particularly people in fringe and marginal section of the society.” Speaking on the occasion, Hon’ble Governor Dr. S.C. Jamir appreciated the Rotarians for their motto of putting service above self. He also congratulated NALCO and its CMD Dr. Chand for their empathetic welfare measures. His Excellency Dr. S.C. Jamir & Special Guest the 1st Lady of Odisha, were conferred with Honorary Rotarian recognition.Shri Sudarshan Sahu, eminent Sculptor and Smt. Madhubrata Satapathy, Odissi danseuse were felicitated for their contribution in socio-cultural sector and Shri A.K. Jha, CMD, Mahanadi Coalfields Ltd, Shri Sarat Kumar Acharya, CMD, Neyveli Lignite Corporation, Shri Subrat Tripathy, Chief of Dhamra Port, Shri Kulamani Biswal, Director (Finance), NTPC and Shri Sanjay Patnaik, MD, Tata Sponge Iron Limited were felicitated for their contribution to industry. The Souvenir of Rotary Club of Temple City ‘Dhauli’ and “Sangini”, the newsletter of NALCO Mahila Samiti wefre released on the occasion.Eminent Rotarians from all over the state as well as good number of representatives from civil society were present in the meeting.